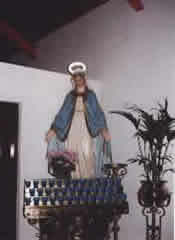 The church in Patrickswell is dedicated to the Blessed Virgin Mary. Bishop Jeremiah Newman and Fr William Creed P.P officially opened the church on June 9th 1977. The architects were John Thompson & Partners and Patrick Healy was the builder. The McSweeney family gave the site for the church and the Presbytery. The McSweeneys also gave the altar and ambo as a gift. 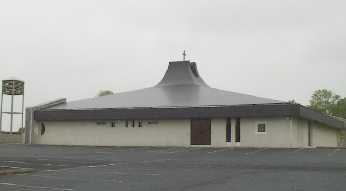 The church was re-roofed in 1994. The stained glass window on the left depicts the Sacred Heart while the stained glass window on the right shows the Virgin Mary. 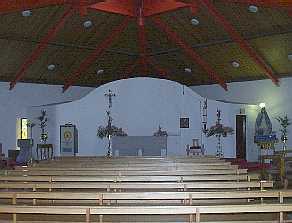 At the back of the church on the left-hand side there is a statue to St Anne, while to the right of the altar, there is a statue to Virgin Mary.